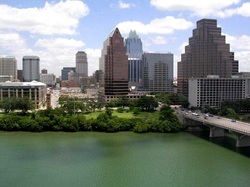 Creating Transformational Workplaces (CTW) primarily serves small businesses and non-profits in the Austin area and surrounding communities. Typically small businesses do not have the resources to create comprehensive internal wellness and EAP programming, so we cover that gap. By partnering with CTW you have access to a vast array of diverse employee wellness and organizational development services targeted to the needs of your workplace. Workplace Wellness, Corporate Giving programs, Employee Assistance Programming (including high-touch care management services for working caregivers), and Organizational Development / Management Consulting: We got you covered. Non-Profit organizations in particular struggle with resources for capacity-building. For community based organizations in the health and human services sector, we also offer clinical processing groups for front-line staff and volunteers, and leadership development for mid-level managers, on a fee for service or contract basis. What if I told you that I had a method to help your retain your most valued LMSW social workers by an increase of AT LEAST two years? What if this same method allowed for an unprecedented feedback loop between management and front line staff that mirrors the best practices of innovative workplaces like Google and Amazon? What if by offering LCSW supervision onsite, by Michelle Zadrozny, LCSW, EAS-C - an experienced Clinical Social Worker, HR Consultant, and Organizational Development Leader/Innovator - you could also improve job performance, increase morale, reduce turnover, AND improve organizational efficiencies? Sound too good to be true? It's not, and it's super affordable! Michelle developed an LCSW individual and group supervision model based on providing for both clinical and organizational support needs. Very affordably, you can incorporate twice monthly clinical processing groups and monthly individual sessions, onsite in your workplace, for your most valued LMSW front line staff. What results can you expect? Reduced risk and liability to your agency, improved morale and community-building for staff, decrease in costly turnover rates, and leadership development & skill-building that contributes to organizational effectiveness. Michelle comes from an organizational development AND clinical perspective. By supporting your staff you will gain valuable insights and trends to help you head off risk - and you can be confident that as individual clinical issues are addressed staff will also be gaining valuable leadership skills that will help them increase their positive contributions to their team and your organization. Monthly rates for Individual and Group Clinical Supervision. Did you know the workplace is like a family? It can be a wonderful nurturing environment - but often it acts more like a dysfunctional family in the throes of co-dependency! Often skilled clinical staff are promoted to management positions, where they can be unprepared for the demands of effective management. This workshop helps clinical and/or direct services staff identify the core competencies of their direct practice, and transfer these skills to become a more effective leader in your organization. This workshop is targeted to mid-level managers in the organization, who often feel 'squeezed' by the demands of executive leadership and the real needs/challenges of their direct reports. This is a highly interactive, engaging workshop that empowers new and seasoned managers alike to re-ignite their passion for their work - by identifying team strengths and learning how to leverage and re-balance roles for maximum organizational effectiveness and growth. Social Workers are natural Servant Leaders - with the core competencies of belief in the dignity and worth in every human being, a systems perspective, and cultural diversity to name a few; social workers are perfectly positioned to help solve complex organizational and community problems. By taking time to uncover hidden strengths and re-frame challenges, your team of managers will be ready to meet our complex global issues with renewed energy and creativity. This workshop qualifies for Ethics CEUs for Social Work, LPC, PHR, and CEAP. Did you know the workplace is like a family? It can be a wonderful nurturing environment - but often it acts more like a dysfunctional family in the throes of co-dependency! Often managers can be unprepared for the demands of effective management and leadership development. This workshop helps leaders identify the core components of self-awareness and personal development, and transfer these skills to become a transformational leader in your organization. This workshop is targeted to emerging leaders or entrepreneurs, who often feel 'squeezed' by the demands of executive leadership and the real needs/challenges of their personal lives. This is a highly interactive, engaging workshop that empowers new and seasoned leaders alike to re-ignite their passion for their work - by identifying innate strengths and learning how to leverage and re-balance roles for maximum organizational effectiveness and growth. Social Entrepreneurs are natural Servant Leaders - with the core competencies of belief in the dignity and worth of humankind, a passion for transforming communities, and work rooted in service - to name a few; social entrepreneurs are perfectly positioned to help solve complex organizational and community problems. By taking time for YOU: learning to uncover your hidden strengths, re-frame challenges and build self-awareness; you will be ready to meet our complex global issues with renewed energy and creativity. This workshop has been customized and delivered to executive leadership, mid-level managers, solo entrepreneurs, and faith-based organizations/churces. Individual and facilitated Peer Coaching is available for your managers that show the most motivation and potential to become effective leaders - in your organization and our community at large. Leadership coaching is based on maximizing individual and team strengths, and aligning the 5 components of health and well-being: psychological, physical, emotional, spiritual, and social. Struggling in your current job or career? Looking for a change but don't know where to start? Michelle has a knack for helping you identify where you are 'stuck,' what your true strengths and gifts are, and how to align your path with your values and goals. Sometimes all it takes to get on the right track is someone to help you uncover who you really are and what you really want out of life and work. The answers are within you - but sometimes it helps to have someone accompany you on your journey. This type of coaching with Michelle typically consists of 3-5 sessions spread out over 3-6 months. Very low cost, low commitment, and high impact! Individual and Group Rates and/or session packages available. Compassion Fatigue. Burnout. Stress Management. We all know that self-care is critical for all human beings, but especially so for those providing front-line case management and crisis intervention in the health and human services sector. Many serving in this capacity are social workers (those that are licensed as a BSW, LMSW, or LCSW in Texas), but the reality is that many front-line staff have a human services-related degree and thus are professionally and personally unprepared to create healthy boundaries and manage the challenging job stress in this field. Let's face it; the more advanced degree, the higher the salary costs to your organization. However you are not reducing your liability by saving these types of costs; in fact you are increasing your risk without clinical oversight and not providing staff formal opportunities for peer consultation. Michelle developed a clinical processing group model based on what is offered in board-approved social work supervision, targeted to non-social work or non-clinically licensed front line and case management staff/volunteers. Very affordably, you can incorporate twice monthly clinical processing groups in your workplace for your front line case managers who are not receiving formal clinical supervision. What results can you expect? Reduced risk and liability to your agency, improved morale and community-building for staff, decrease in costly turnover rates, and leadership development & skill-building that contributes to organizational effectiveness. Michelle comes from an organizational development AND clinical perspective. By supporting your staff you will gain valuable insights and trends to help you head off risk - and you can be confident that as individual clinical issues are addressed staff will also be gaining valuable leadership skills that will help them increase their positive contributions to their team and your organization. Group rates for Clinical Processing; Individual session packages are available for Job Performance Coaching.